The eighth and final spot for the WTA Finals in Singapore will go to either Svetlana Kuznetsova or Johanna Konta. Carla Suárez Navarro was eliminated from the race after she was forced to withdraw down 4-6 0-3 to Daria Gavrilova in her second round match in Moscow. Kuznetsova needs to reach the final and she opened her campaign on Wednesday with a straight sets win over Alizé Cornet, 6-4 7-5. Kuznetsova will play Timea Babos in the quarter-finals on Thursday. Official reason for CSN – right wrist injury.
.@SvetlanaK27 books a spot in #KremlinCup Quarterfinals! Suárez Navarro wasn’t the only withdrawal as Ana Konjuh had a walkover into the quarter-finals after Anna Blinkova, who had saved five match points in an epic first round match against Anastasija Sevastova on Tuesday, was forced to pull out of the tournament. Konjuh faces Elina Svitolina in the quarter-finals who dropped just four games to Yulia Putintseva in the first match of the day on court 2, 6-2 6-2. In the last match of the day, Anastasia Pavlyuchenkova produced a dynamic display to oust a passive, Jelena Jankovic, 6-1 6-4. 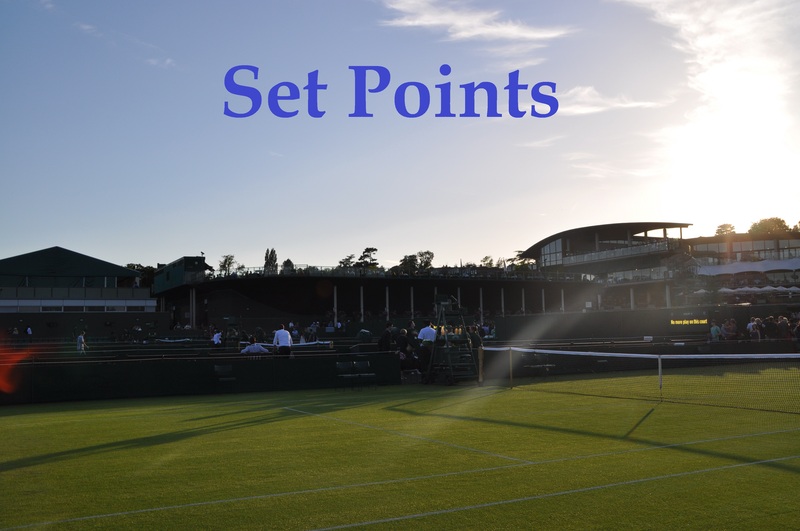 The story of the first set was break point conversions – Pavlyuchenkova was clutch, converting two out of her three break points while saving the four that she faced. The match was all about Pavlyuchenkova and while she committed 34 unforced errors, she hit more than six times as many winners as Jankovic as the Serb managed just four! Pavs dictated the majority of the rallies and showed some skills at the net. There were nerves at the end but she got the job done in straights. Daria Kasatkina beat fellow compatriot, Ekaterina Makarova in very comfortable fashion, 6-4 6-1. Julia Goerges condemned Elena Vesnina to a fourth consecutive loss on tour, winning a tight opening set before strolling through the second set to win, 7-5 6-0. In Luxembourg, the first match of the day sounded like an eventful one but unfortunately, it wasn’t streamed. Francesca Schiavone twice served for the match against Monica Niculescu, but it was the Romanian player who battled back, beating Schiavone for the first time in her career with a 3-6 7-5 6-4 victory in two hours and 35 minutes. Niculescu sounded like a hoot again in press! "I want to work in TV [after tennis]. I think I can make people laugh. I'd love to sing but I have NO talent"
And here’s a wonderful piece on Niculescu from last week in Linz. Niculescu will play Caroline Wozniacki in the quarter-finals after the Dane came from a set down to beat Sabine Lisicki, 3-6 6-2 6-3. It didn’t end particularly well for Lisicki who hit back-to-back double faults to lose her serve at *3-4 in the decider… but from what I saw, there were quite a few positives to take away for Lisicki in this performance and hopefully something to build on going into the off-season. Lisicki at number 94 in the world just isn’t right! Lisicki happy with her level vs 2 in-form players today and yesterday and glad she finished a rough year with 2 decent matches. More later. Wozniacki keeps the win streak going at seven and has now won 21 of her last 24 matches with losses to Angelique Kerber and Agnieszka Radwanska (X2). I was just thinking about her first round match at the US Open which I watched live against Taylor Townsend. I really did think she was going to lose that match for a time as she was a set down and missing opportunities left, right and centre in the third set before coming through for what turned out to be a pivotal victory. Wozniacki not feeling well, not coming into press – felt nauseous during the match, hopes to be fit for tomorrow. Statement coming later. Kiki Bertens produced a really solid display against a crumbling Anna Karolina Schmiedlova, 6-3 6-1. Bertens looked very impressive, probably because she was put under little to no pressure towards the end and was free to play her game. It’s been a dreadful year for Schmiedlova and here’s hoping that she can rediscover some confidence in her game on the ITF circuit next year. Taking the ball out of the air well and hitting an array of smart angles, Bertens overpowers a somewhat passive Schmiedlova, 63 61. The number one seed, Petra Kvitova came from a set down against Varvara Lepchenko, eventually powering past the American, 4-6 6-2 6-1. Lepchenko was in control at the end of the first set with Kvitova looking rather uncomfortable. The Czech player though began to control more of the rallies from midway in the second set and pushed Lepchenko back behind the baseline. Lepchenko’s first serve went missing in the decider as Kvitova began to unload on the forehand which has delivered a treasure chest of goods during the last month. Andrea Petkovic thrashed Caroline Garcia, 6-1 6-1 in just 59 minutes… I didn’t see this one coming at all but very happy for Petko! Johanna Larsson enjoyed her second straight sets win of the week, this time over Mona Barthel, 6-1 6-4 in just 58 minutes. Denisa Allertova saved three match points to survive in Luxembourg, eventually beating Tereza Smitkova, 3-6 7-6(4) 6-3. From a set and a break down, Lauren Davis scored another impressive win as she dispatched Kristyna Pliskova, 2-6 6-4 6-3 in the last match of the day. October 19, 2016 in Luxembourg, Moscow, Set Points, WTA. I feel like pressure will get to Kuznetsova and she’ll fail to qualify. An in form Timea Babos could very well be a tough test for her. I’m in agreement… solid enough start today though. There was a time when I expected Sveta to lose her first matches at a tournament but she’s been remarkably reliable of late. It’s just confidence, really, isn’t it? Her serving hasn’t been as good the past couple months as it was at the start of the year though. And she’s still prone to these lapses in concentration. I’d love to see her in Singapore though. Her record in the finals has been abysmal but she’s more focused on enjoying playing now and she does love pulling upsets. Yeah I guess so. Well even if she doesn’t win Moscow, there’s not been any news about Konta and I wouldn’t be surprised if she wasn’t fit enough to play Singapore if she qualifies. Are u still leaning towards a kuznetsova win or going for Babos now James? Yeah, I’d just love another of my favorites to be in Singapore. Not that I don’t love Kerber or Halep, I just can’t seem to get as excited to see them win as Serena or Kuznetsova. I’m on the fence on how Pliskova will perform. She has a good record on slower hard courts- she’ll have that little extra time to cover the court and the ball should sit up for her- but her record against top ten players and her lack of success in bigger events doesn’t inspire heaps of confidence. Elina Svitolina is kind of acing the last third of this year! It seems like every single part of her game has improved considerably in just a few months- she’s finally broken the seal of what she’s capable of. This is her fourth semi final in the last six events that she’s played, all of which Premier level or better. If she can start 2017 this way, and there’s no reason to think she can’t, since the first 6 months are played on slow hard courts or on clay, both best suited to her game, then she could well be a top ten player by Wimbledon!